Programming is more of an art than a technical Skill. Why? mainly because there are millions of programmers out there and not everyone is good at it. 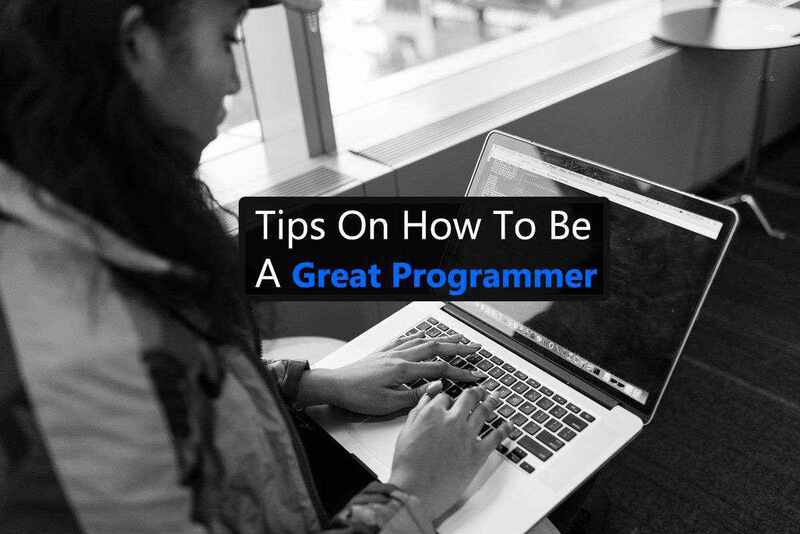 So, in order to become a great programmer, you will need to practice a few things which are mentioned below. As we all know that Programming is one of the most dynamic industries in the world. You just can’t rely on concepts that you have learned a few years back in your school or college. You always need to learn new concepts and practice as much as possible. So reminding yourself to keep learning will always help you in long run. This is something which can easily be found in a successful programmer. In order to become successful in something, you need to first nail the basics of it. Similarly, if you want to become a successful programmer then you need to be aware of its basics first. By this, we mean that about the resources and text editors, not the use of a semicolon. After knowing about the resources you must need to be familiar with the text editors. Text editors are basically the softwares which are used to code for the other applications. Sublime text 3 – Sublime text is one of the popular text editors in the world today. If you are into web development then you must have heard about it. It’s very reliable text editors which offer great performance and productivity and widely preferred by many experienced developers all across the globe. Visual Studio Code – Visual Studio Code is another popular text editor or IDE in the world. It’s basically a software which lets you create software, applications and even websites for the internet. So if you are not into Sublime text then it must be good for you. Notepad++ – Notepad++ is the most basic code editor you will ever find online. It’s free and the first choice of every well-known developer. Why? mainly because every famous web developer has started from it. So if you think you also want to start from it then you must go for it. Udacity – The reviews on this website is pretty Awesome. Many well-known developers refer to this website to start with. We personally have also observed that this website has everything to offer to a computer science student. So if you want the most reliable resource then we recommend you Udacity for this. Many people prefer learning from books only. So for that, we have mentioned below some of the best books to learn to programme from. Code Complete – Code Complete is considered as the encyclopedia of programming. Why? because it has everything you need to know as a programmer. It’s very easy to understand and has a massive piece of literature of 900-pages, but each chapter is packed with suggestions and techniques to improve everyday programming and construct code that is readable and easier to manage. So keep this in mind. Soft Skills – Last but definitely not the least on our list is Soft Skills. This book is known as the fun book for programmers. The reason behind this is very clear. Many programmers enjoy programming and this book makes programming more fun. The only hard part involves dealing with clients, peers, and managers, staying productive, achieving financial security and so on. It doesn’t offer any programming examples but enriches personal branding, blogging, learning, teaching, finances, and even fitness and relationships. It’s also titled as the life cycle of a software developer. So this was all regarding How to Become a Great Programmer. If you find it useful then do let us know in the comment section below, Would love to hear that.